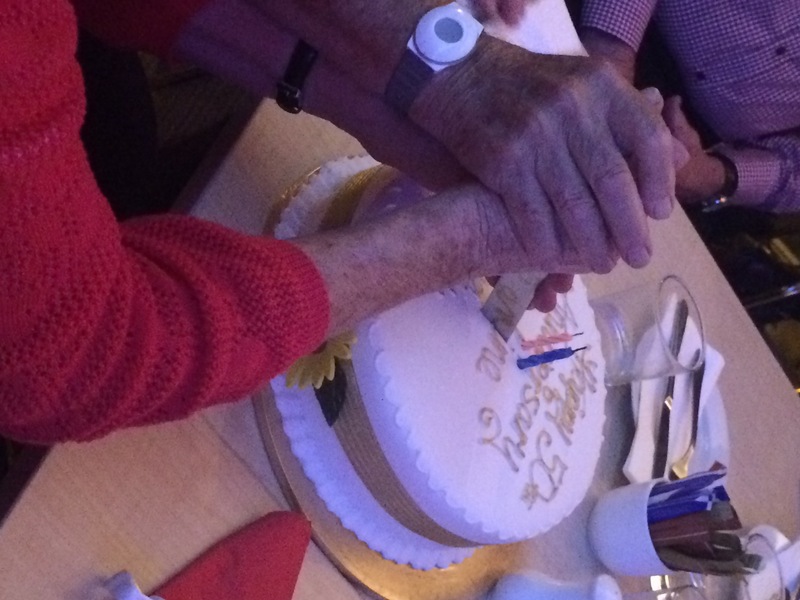 Here on the Homestead, we reckon fifty years of marriage is something worth celebrating. Fifty years of shared living; three children, seven grandchildren, one great grandchild. Fifty years of joy and sorrow; harmony and dischord, laughter and tears, excitement and humdrum, triumphs and disasters. 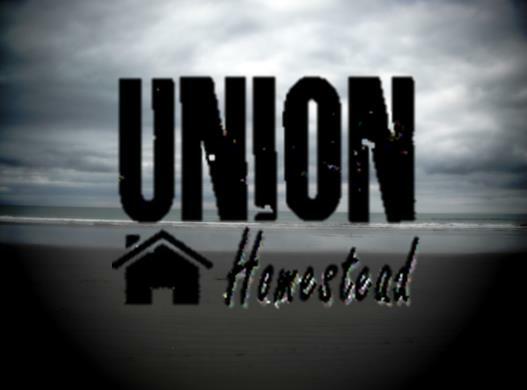 This entry was posted in Union Homestead and tagged anniversary, celebration, Family, golden anniversary, marriage, whanau. Bookmark the permalink. M\any congratulations to the happy pair. 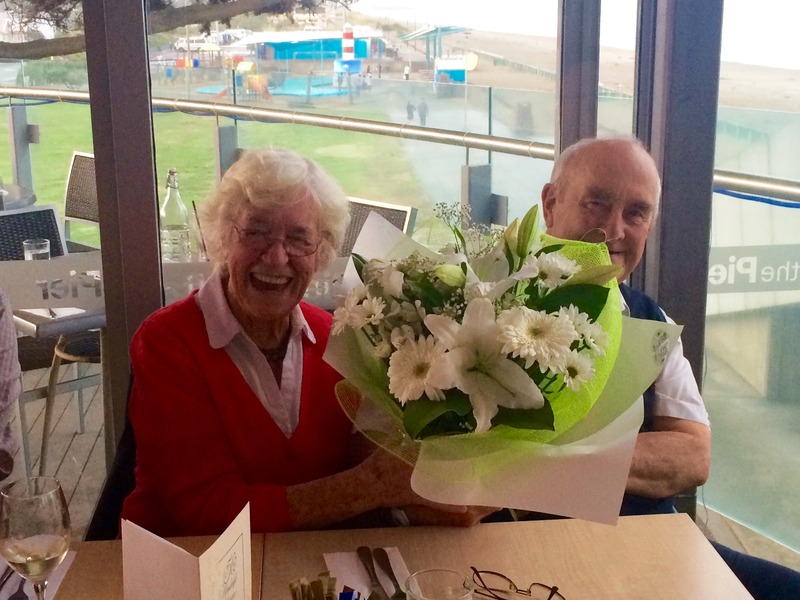 Fifty years of marriage is too lovely for words!! Congratulations!!! And that photo of the couple heartily laughing with that enormous bouquet of flowers is priceless! All good wishes for health and wealth for their next fifty years! Happy Anniversary to a couple who have undoubtedly been through a lot of up and down, thick and thin, richer and poorer, better and worse. Here’s to many more years, mostly of up, thick, richer and better, and less of the other stuff. 50 years! Wow.